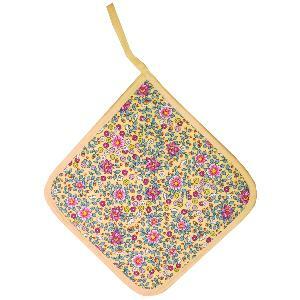 Provencal Kitchen Potholder matching with most of our other kitchen accessories. Very useful for hot dishes, this quilted Kitchen Potholder is an indispensable complement to your Provencal ambiance. This Provencal Kitchen Potholder Beige is a comfortable and very insulating auxiliary. Our Provencal Kitchen Potholders form a good pair with the associated Glove.